Upon hearing that Anthony T. Mazzola, former Editor-in-Chief of Town & Country and Harper’s Bazaar, and the curator of Hearst Corp’s fine art collection passed away at the age of 90 on May 21st, I immediately saw a good part of my professional life as a fashion editor flash before my eyes, and my mind was filled with many images and remembrances of things past. Starting with wanting to be a fashion editor from a very early age, and after I received my BA from The George Washington University (where I studied fashion magazines with the same intensity that I studied my liberal arts curriculum), I came back home to New York and started making my rounds of fashion magazines in order to land a fashion editorial job. My first job was an assistant to the photography editor at Seventeen but, while it was a great learning experience, that is not where I saw myself. I had my eyes set on Vogue or Harper’s Bazaar. So, after one year I started searching again, went back to Harper’s Bazaar and was immediately hired to be an assistant to Rachel Crespin, one of the most creative of the senior fashion editors. It was 1971 and the Editor-in-Chief at that time was the "Grande Dame" Nancy White. She resigned after James. 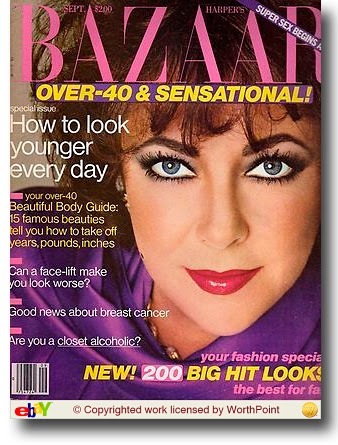 W. Brady, formerly publisher of Women’s Wear Daily, was brought on to “modernize the magazine” and named publisher and editorial director of Harper’s Bazaar. These were turbulent times to be sure, and the controversial Brady wanted the magazine to reflect that turbulence. Unfortunately, he stirred things up in a way that was far too politically controversial for the powers that be; so much so that it was almost unrecognizable to readers and they began to question if it was actually still a fashion magazine. Then ad revenues plummeted. I’ll never forget the time he wanted a fashion editorial shoot to include a ‘double’ of then President Richard Nixon. 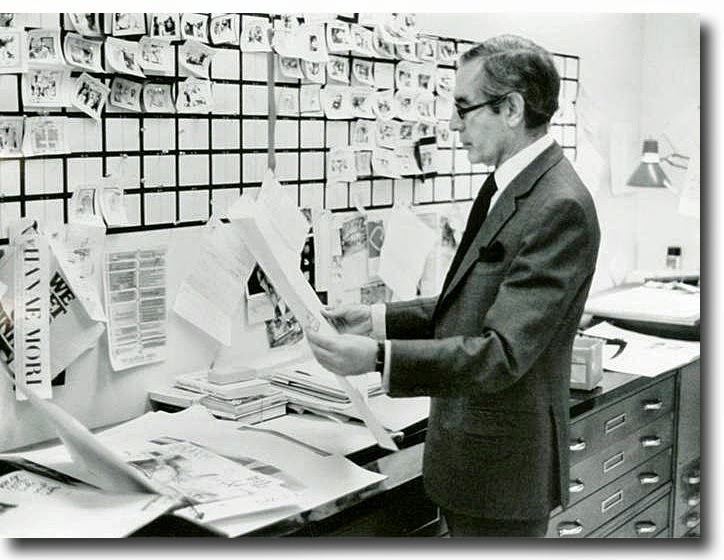 Before long James got the axe and in 1972 Tony Mazzola, who had been Town & Country’s Editor-in-Chief (he was the magazine’s youngest art director at 25), was named to the top spot at Bazaar. There is an ever revolving door that defines fashion magazines and I had personally witnessed and survived a seemingly endless parade, including the coming and goings of countless Senior Fashion Editors: China Machado, June Weir, Gloria Moncur, Carrie Donovan, Nonnie Moore, Elsa Klensch, Robert Ruffino, Freddie Lieba. But Tony Mazzola outlasted them all (he continued on until 1992, when Liz Tilberis was hired), and we worked together for 20 years. Relationships between editors and their Editor-in-Chiefs are always highly charged, complicated, conflicted, have their moments, their ups and downs; and needless to say, not everything was wonderful all the time. That being said, thanks to Tony I was able to do what I loved and will always be grateful for his mentoring. Under his tenure, I evolved from an assistant, to a senior market editor, and I had the privilege of working with a group of enormously talented people like bona fide stars Carrie Donovan and Anna Wintour. 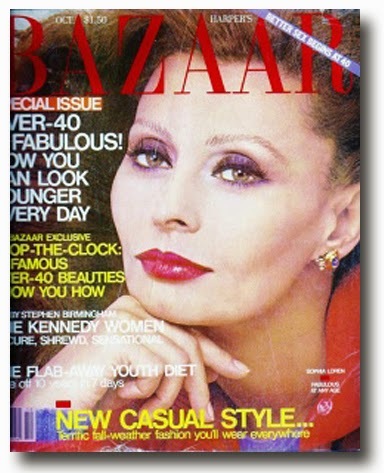 It’s impossible to think about Tony Mazzola’s Harper’s Bazaar without reminding everyone that he was a trailblazer, quite ahead of his time, and prescient on many fronts. 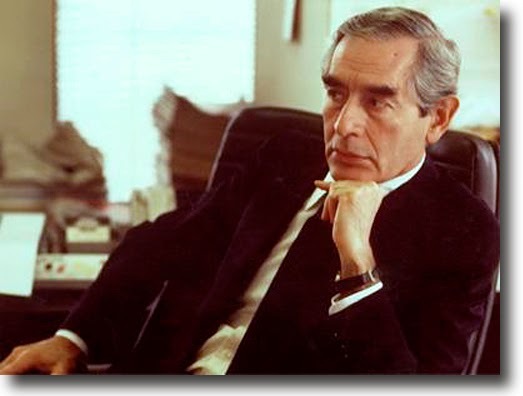 In an effort to make Bazaar topical and more than just another "pretty face" he began focusing on relevant, real life issues and timely themes (he loved a good theme). He also felt strongly about this, to the chagrin of his editorial staff (to be sure, there was plenty of "eye rolling" going on at meetings). He felt strongly about placing celebrities on the covers and featuring them inside. He tackled age head on, long before it was the politically correct thing to do, and eventually the August issue became the annual “Over 40 and Fabulous Issue” (of course, nowadays, 60 is more like 40). 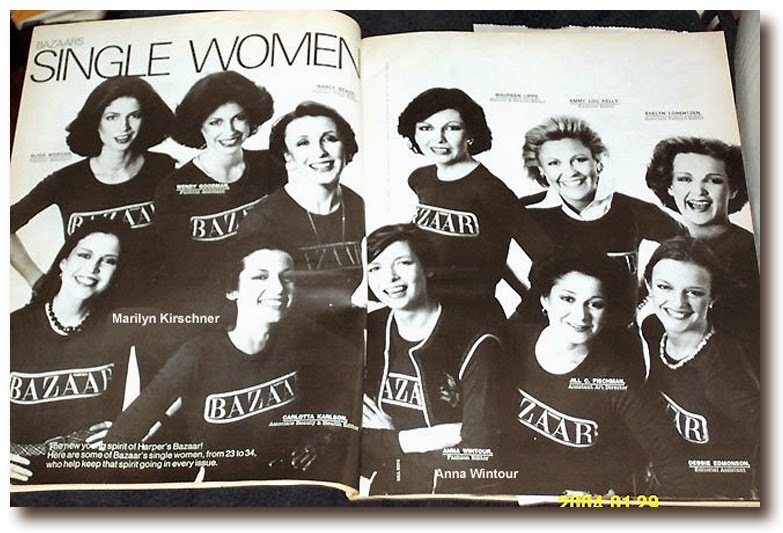 Long before People Magazine’s 50, 100, or “The World’s Most Beautiful Woman” issues there was Bazaar’s annual “10 Most Beautiful” September issue. Other themes were “Nobody’s Perfect” (what to wear if you’re too short, too tall, too thin etc. ); “America’s Single Woman” , which included the spread shot by Bill King, featuring Bazaar’s single editors (including myself and Anna Wintour); “America’s New Working Woman”, and “Unconventional Couples” , (nowadays I guess that would be “Unconventional Consciously Un-couples” LOL). Tony’s wife, Michele Morgan Mazzola, who was a force to be reckoned with (she was on staff), had patrician lineage, but being Indiana born had that penurious Midwest mentality, especially pertaining to clothing, and she often made her presence felt. Tony wanted to focus more on real life, affordable fashion: inexpensive finds that looked expensive. Luckily for me, as a young editor, that was my market, and I began searching for and discovering new, young, and up and coming designers to add to the Bill Blasses, Geoffrey Beenes, Oscar de la Rentas, Yves Saint Laurents, etc. At the top of that list was Perry Ellis, who I met when he was at John Meyer of Norwich. And he loved to be an intimidating presence. He was the Editor-in-Chief -- the one in charge, wielding the power -- and he never let you forget it! Mounted on the wall behind his desk was a huge ominous sign that read “Italians get mad. Sicilians get even”. It stared you in the face whenever you were in his office. That being said, he was supportive, appreciative, and never hesitated to thank you for a job well done. Twice a year, editors were required to turn in their ‘Six Month Plan”: an extensive plan to include specific fashion, beauty, and health stories, as well as ideas for features, etc. It was grueling and quite an undertaking, but it really gave editors a voice and a chance to shape the magazine. I was very pleased to see that many of my ideas had been incorporated into the magazine and he never failed to let us editors know that he valued our opinions and contributions. Finally, these remembrances would not be complete without mentioning Tony's less public face. He had a real soft touch whenever he was in the presence of Alisa, his young daughter, literally morphing from an intimidating Editor-in-Chief, to a beaming, loving, and doting father.